Mary Lou Pressley, at the blessed age of 93, went home to be with her Heavenly Father on February 5, 2019 after a brief illness. Born on May 20, 1926 to the late Tom and Georgia B. Watson in Opelika, Alabama, Mary lived most of her life in Canton, Ohio and later in Sterling Heights, Michigan for the past six years. She was lovingly married to the late Melvin Pressley Sr., for nearly 60 years until his passing. She was a member of The Word of Truth Church of God in Christ in Warren Michigan and previously, Wells of Joy Church of God in Christ and God Given Church of God in Christ in Canton, Ohio. 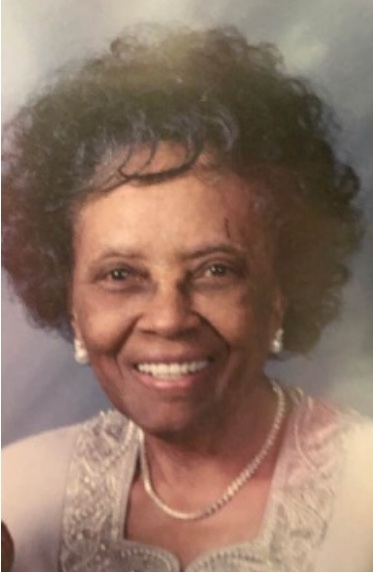 A dedicated and faithful Christian woman, Mary L. Pressley immersed herself in the Church community where she diligently worked in Administration, Financing, and Board of Trustees Board roles. She often led committees and conducted outreach work to help build the kingdom of God. She was skilled in arts, crafts and prominently, known for pattern making and designing handmade quilts, an artistry passed down from her mother and previous generations. She is preceded in death by her husband Melvin Pressley, Sr., parents Tom and Georgia B. Watson; brothers Turner, Ackmiller, Major, Professor, Ernest, L.C., and Jimmy Watson; sisters Tommie Lee Watson, Selma Scott, Equilla Jones, Amerine Scott, Hezerine Wesley, and Rose L. May. Mary L. Pressley is survived by her daughters, Rose M. Willis, Melestine (Dr. Robert) Garner; sons Melvin Pressley Jr., Mandell (Kimberley) Pressley; seven grandchildren, Terrie (Andre) Edwards, Danielle (Alexander) Render, Lydell Willis, Dwayne Pressley, Chancelor (Edrice) Wyatt, Shellie Wyatt, Lisa (Rita) Pressley; goddaughter, Kelly Sims; special daughters Zenobia Pressley and Joy Crenshaw; seventeen great grandchildren; eight great-great grandchildren; and a host of nieces, nephews, cousins, relatives and church friends whom she loved so dearly.